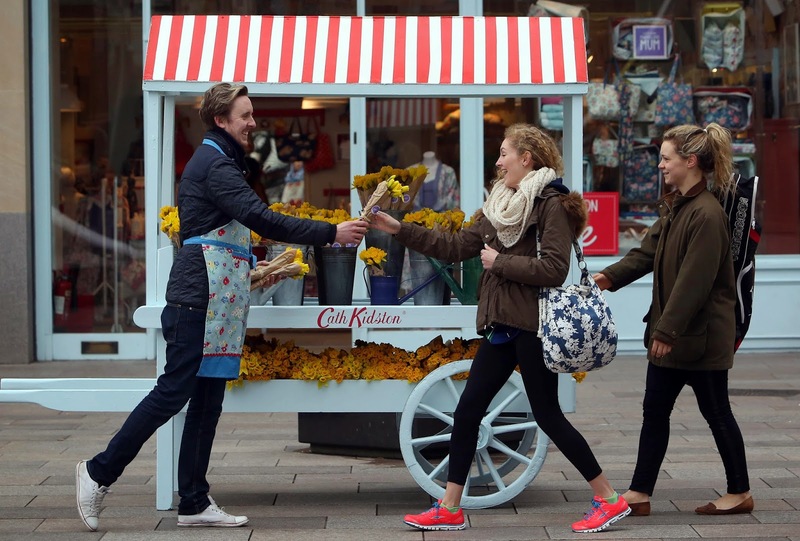 This past Mothering Sunday Cath Kidston did a HUGE two-part giveaway for shoppers and commuters to celebrate their #BloominMarvellousMum’s. 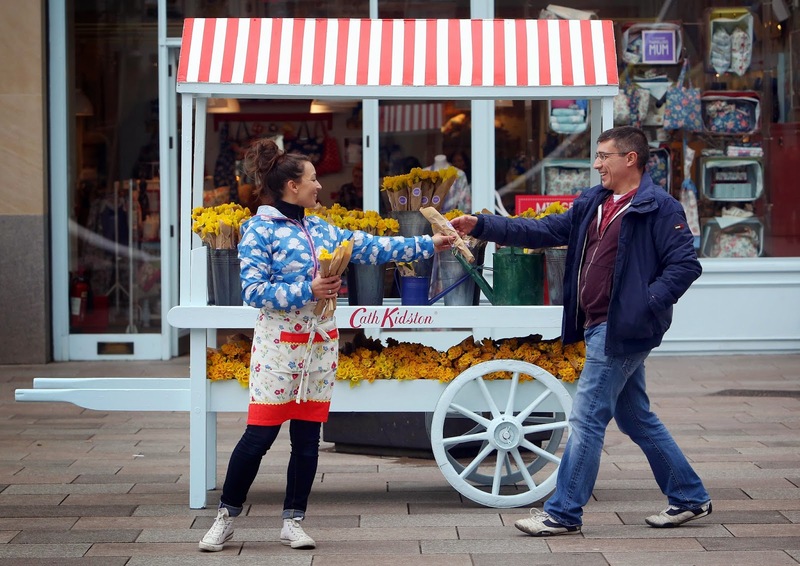 Cath Kidston installed a vintage flower cart outside of their store on the Hayes, in Cardiff, and also installed buckets around the city centre with over 8000 bunches of daffodils. 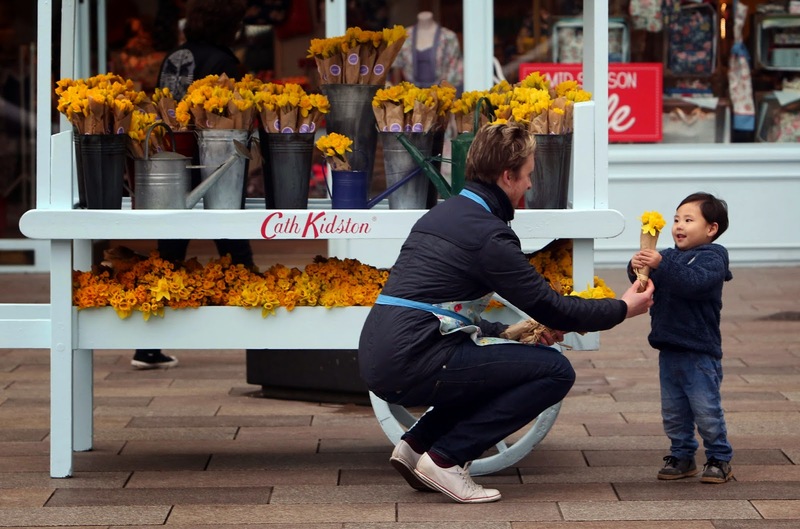 The second part of the giveaway, took place in London – where a field of 4000 pink and white gerberas were installed on London’s iconic southbank, in the signature Cath Kidston polka-dot print. Commuters were both shocked and surprised by the installations – which served as a pleasant reminder for Mothers Day. According to statistics, over 64% of us forget to purchase a card or gift, until the day before…oooppss! 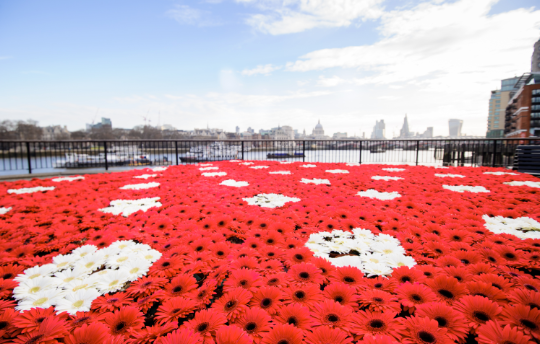 The installations were meant to be in place for 12 hours, but flowers in both London and Cardiff ran out within an hour. I absolutely love that this lovely company loved by so many (especially mums!) gave a little something back. Perfect spirit for Mothers day. That is so beautifully sweet! This is so precious! wish we could have something that special here! Great photos and beautiful outfit. I am so glad to have found my way to your blog via Cynthia's post (http://myrosecoloredshades.com).